A new customer came to us with a couple of problems. 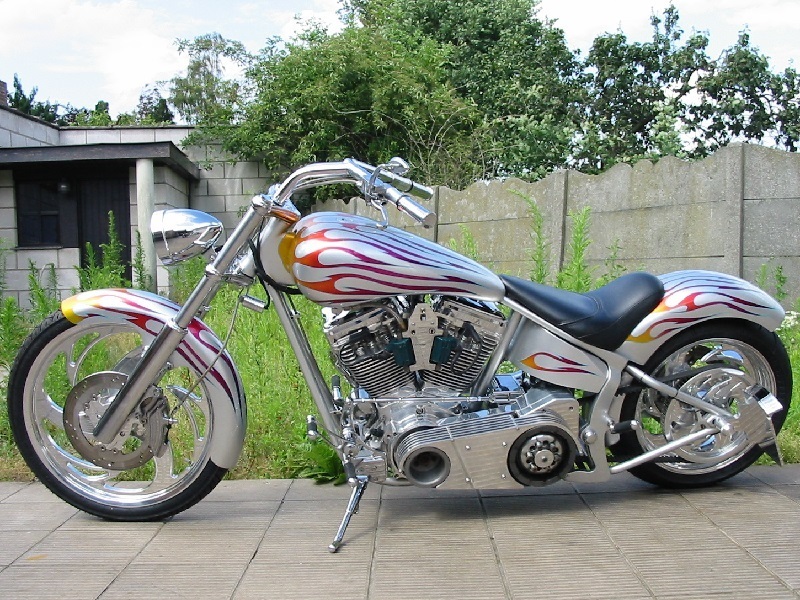 He had ordered 2 motorcycles online, from the U.S.A. and had them transported to Belgium. 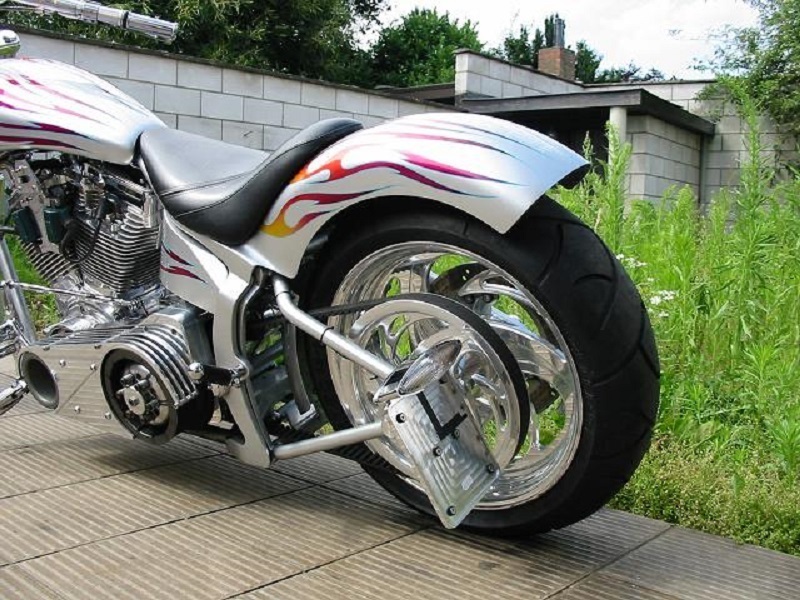 After arriving, he discovered that they would both have to have a complete technical inspection before being registered. 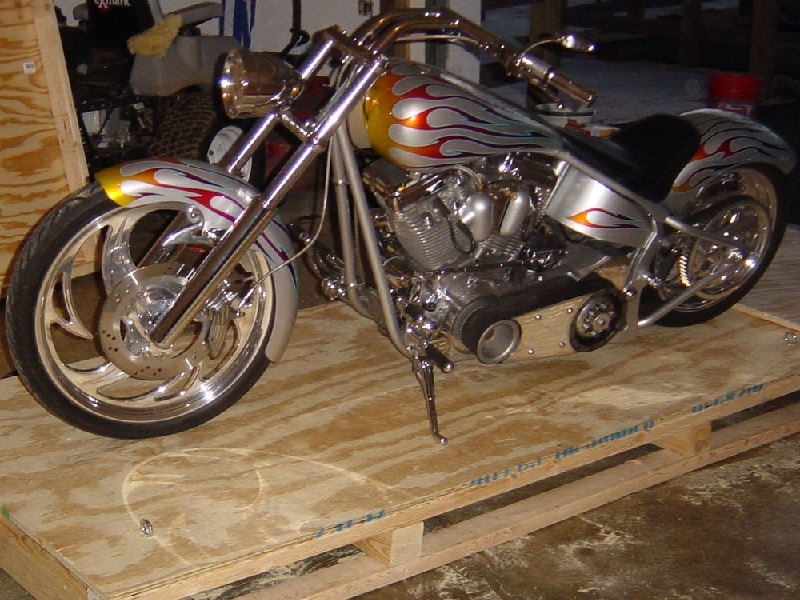 He brought these “show bikes” to our shop, and we knew that it wouldn't be a simple task. 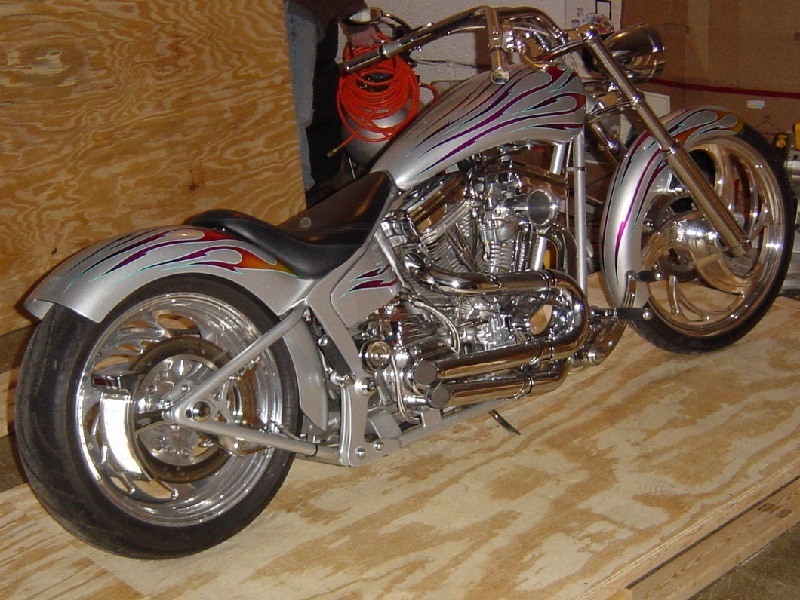 We started with the custom built S&S 95 cubic inch Softail because it was the best of the two. 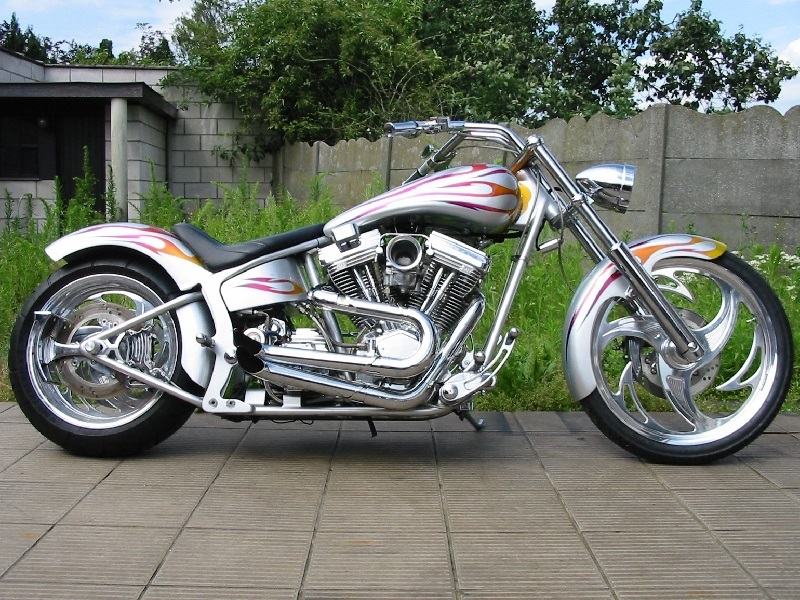 (Please see the “RevTech Hardtail 100 cu. in.” for it's description and pictures.) 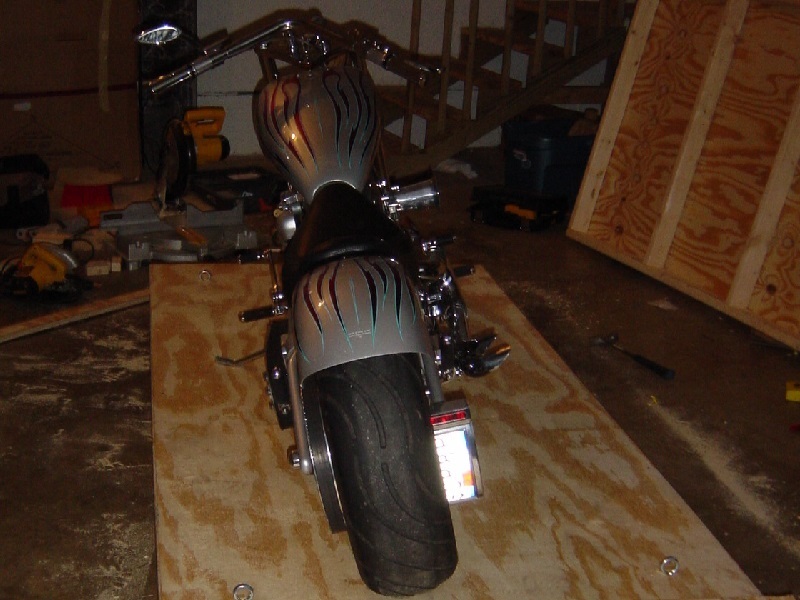 Considering the vehicle inspection rules and regulations, we went to work on modifying and improving this bike. It also needed new tires and new brake rotors, as well as a complete servicing. For extra safety, we added a 3” Railer Belt Guard for the BDL open belt drive. As with most motorcycles that come to our shop for the first time, we found that the wiring had been altered by someone who didn't really know what he was doing. We did manage to sort things out without too much difficulty. 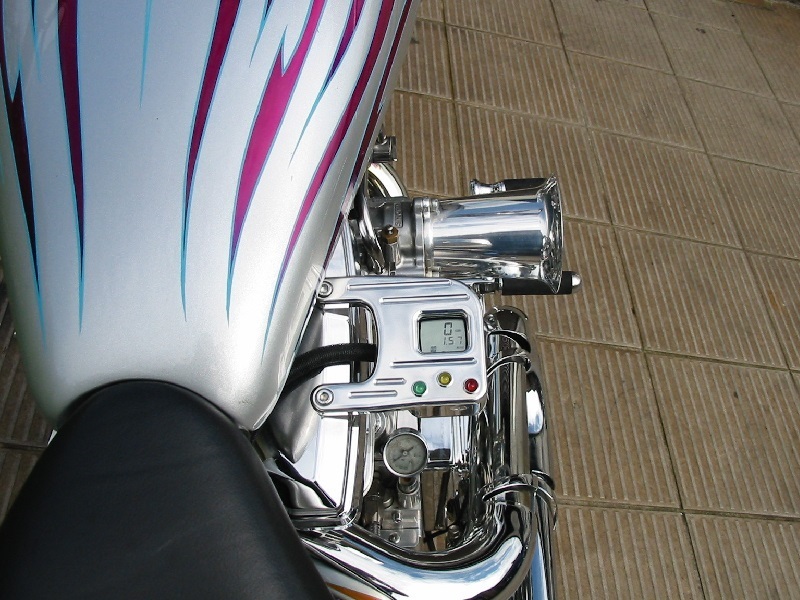 We installed a digital speedometer with a rocker box mount which actually added to the looks of the bike. Finally it was ready to be inspected. 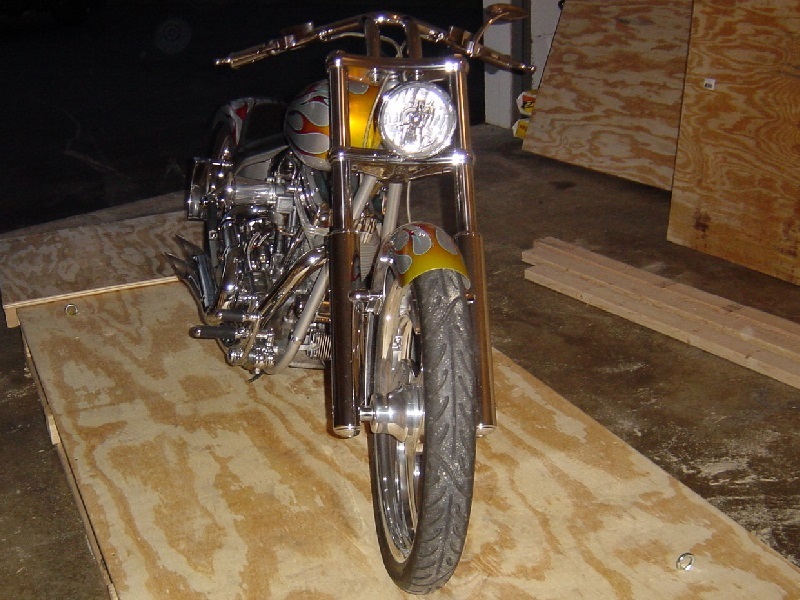 We returned home with good news for our customer and after discussing a few more changes, including a CENTREM-made side-mounted license plate support with a narrow cateye taillight, we were able to deliver a much improved and easier to ride motorcycle.